This beautiful beach is waiting for you. Who doesn't feel like playing golf with this backdrop? After all the activities, this pool with fresh cooling is waiting for you. 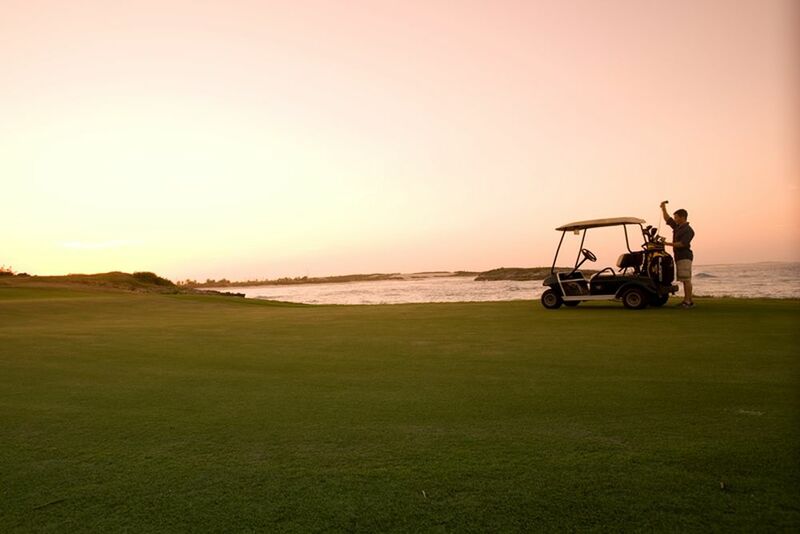 Take on this extraordinary challenge by the sea and hit a few balls. Wonderful views and atmosphere, day and night. In Barefoot by the Sea restaurant you can feel the sand between your toes while eating. 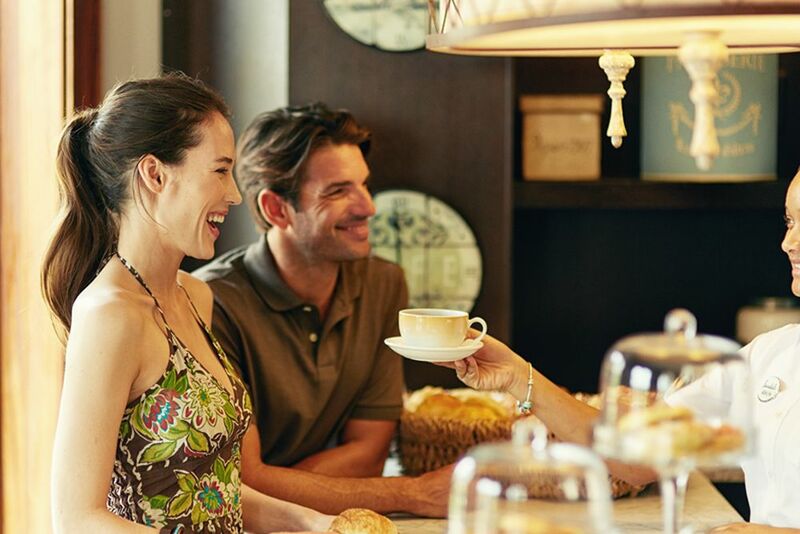 Enjoy a relaxing afternoon at Café de Paris. The dinner offers an unforgettable view. Experience a British feel-good atmosphere in the Drunken Duck Pub. Even the lobby convinces with comfort and invites you to relax. In Crystal Honeymoon Penthouse, the smallest details are matched. From the Prime Minister Honeymoon Suite you already have an unforgettable view upon waking up. The views from the balcony leave nothing to be desired. 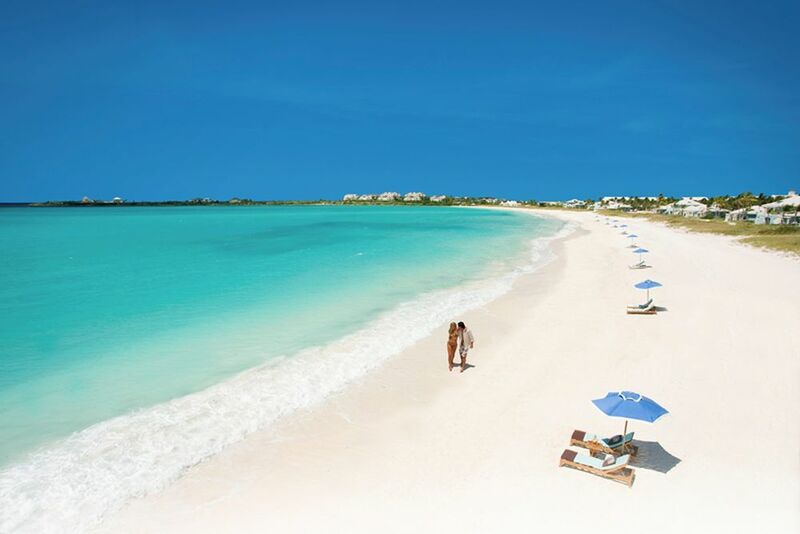 Welcome to the Sandals Emerald Bay, a paradise for golfers and couples alike. 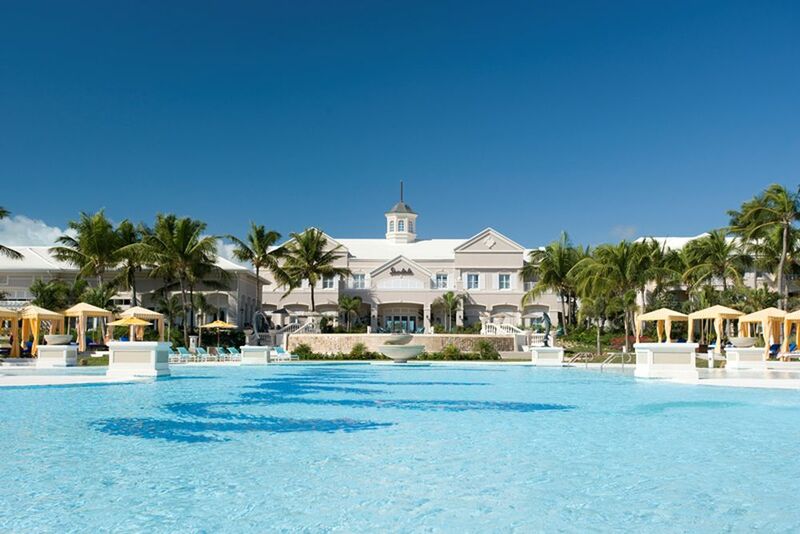 After golfing, cool off by one of the pools and enjoy culinary delights in the evening with the panorama of the Bahamian Emerald Bay before your eyes. Music Band and more Contact us to make your dream wedding in the Caribbean an unforgettable moment. Nestled in the idyllic waters of the Exuma Island chain, the Sandals Emerald Bay combines unparalleled luxury with the simple design of the Bahamian islands. The outstanding position of the hotel on the untouched, kilometer-long sandy beach invites its guests to get to know the surroundings with exotic adventures. The airport can be reached in 10 minutes by bus. 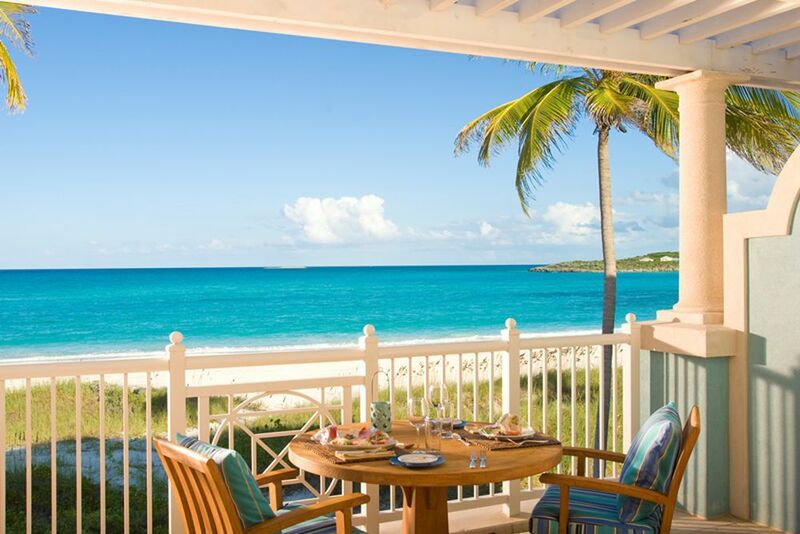 The Bahama Bay - Here you have a breathtaking view of Emerald Bay already in the morning with a rich breakfast. At noon, you will find a variety of international food and, later in the evening, a world-class à la carte dinner. 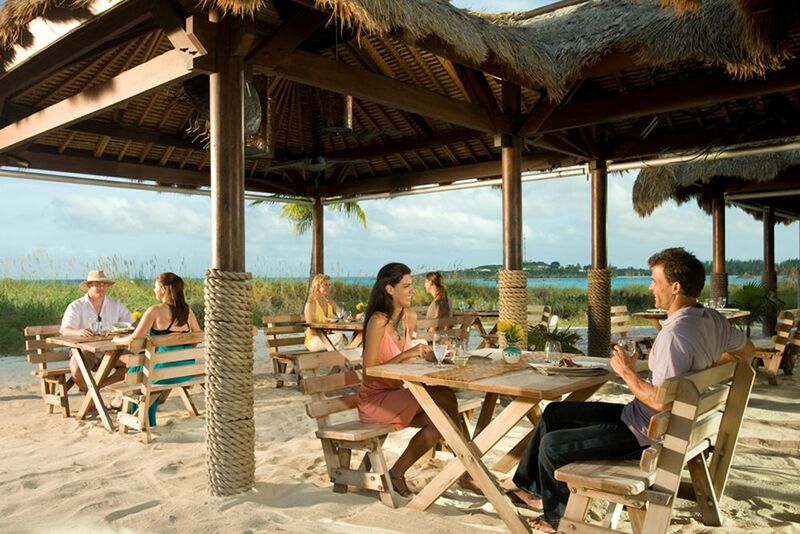 The Barefoot by the Lake - Take the name of this restaurant at the word and feel the sand between your toes while enjoying fresh seafood and fish on one of the most beautiful white sandy beaches in the Caribbean. The Café de Paris - From the afternoon onwards, there is everything you need to have. The luxury café is renowned for its French delicacies and the relaxed atmosphere. The resort offers 249 rooms and suites in a total of 21 different categories. The highlight of any accommodation is the direct beach location or the short way to get there. These seductive beachfront accommodations include low-rise beachfront villas, luxuriously appointed rooms and suites amidst well-kept lawns and coconut palms. All rooms are equipped with: down duvets and pillows, personal pillow selection, flat screen TV, DVD player, safe, hairdryer, toiletries, illuminated makeup / shaving mirrors, luggage rack, air conditioning, iron and ironing board and double marble washbasin and deep bath. Beach House Oceanview Grand Luxe Club Level Room - With magnificent views of the glittering sea, these great retreats offer a natural, luxurious ambience just a few meters from the sea. 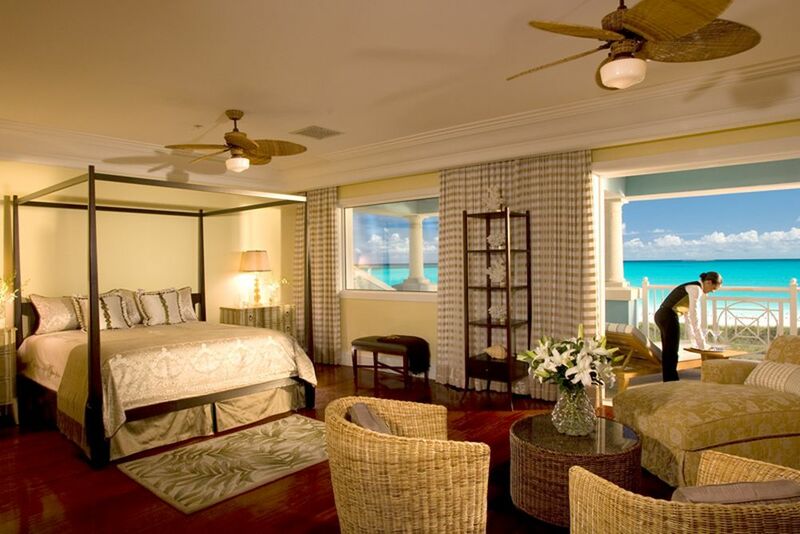 Lovingly furnished with mahogany furniture, natural stone floors and privacy, these rooms radiate a Bahamian flair. Floor-to-ceiling glass sliding doors lead to a private terrace with views of the tropical garden and the hotel's grounds. 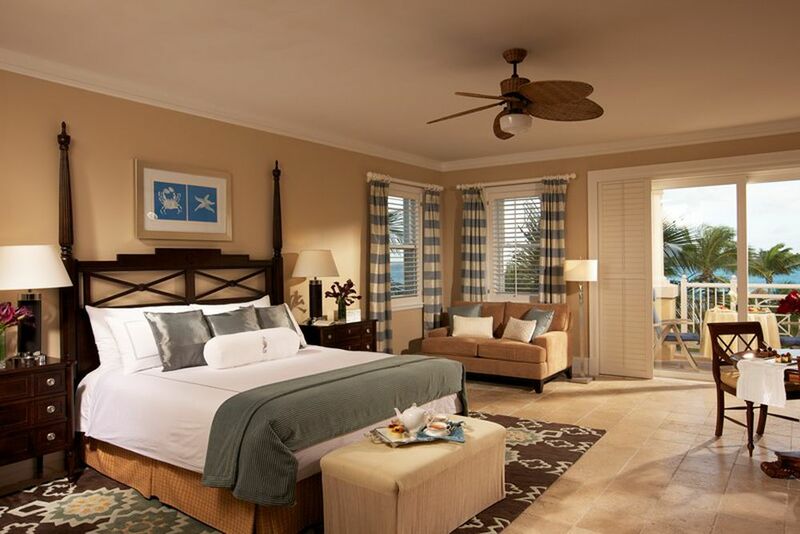 Beach House Luxury Club Level Room - With mahogany furnishings and impressive natural stone floors, these rooms radiate a warm, British colonial feel. Floor-to-ceiling glass sliding doors with visual protection bring the beauty from the outside to the inside. Located on the second and third floor, just a few meters from the beautiful Emerald Beach, each room has a furnished balcony that offers unforgettable views of the tropical garden and the resort's grounds. Leave the warming atmosphere of the islands on you and sit back in the Red Lane Spa. Make a unique experience that will change you - inside and out. Take your time and recharge your batteries with pleasant massages that promise complete relaxation. Golfing in front of a breathtaking backdrop. 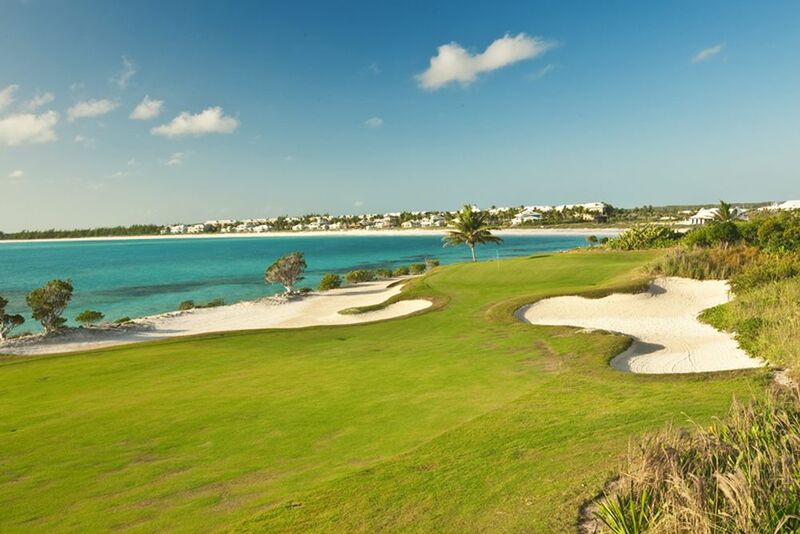 The Sandal Emerald Bay offers you this option at the in-house 18-hole, 7,000-yard golf course in the Caribbean. Try six holes that are located right by the sea. With the waterway and the southeastern winds, this golf course is also a challenge for experienced players. The first ten holes wind through a mix of dunes and mangroves, while from the 11th hole the backdrop to the beach provides possible distractions. 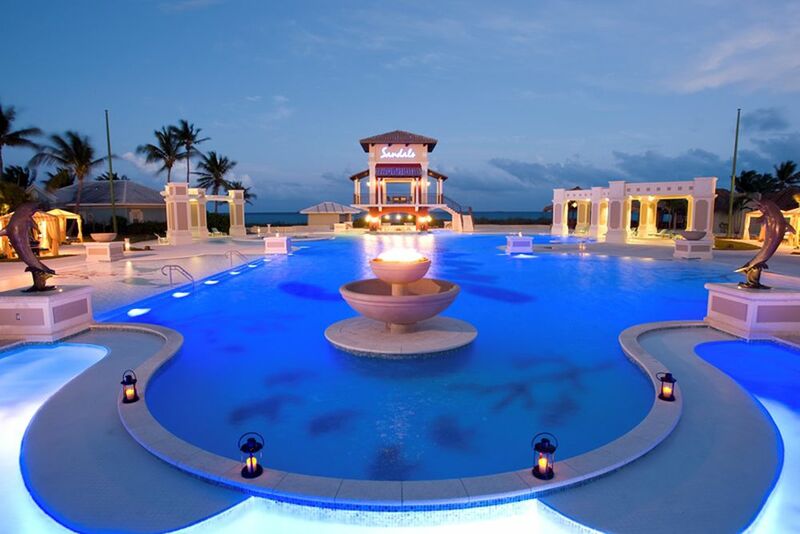 It wasn't for nothing that it's been awarded as the Bahamas Leading Golf Resort. You can also work out in the on-site gym with state-of-the-art equipment and bookable courses. During the travel period 01.01. - 31.12.2017, the minimum stay is of 2 consecutive nights.